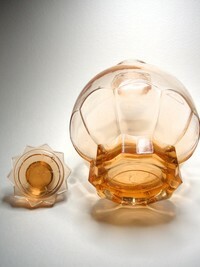 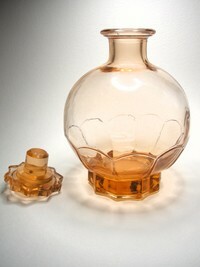 Gorgeous, large vintage pink glass perfume bottle. This perfume bottle measures approximately 5½ inches (14cms) in height, including stopper and approximately 13 inches (33cms) in circumference around its widest part. 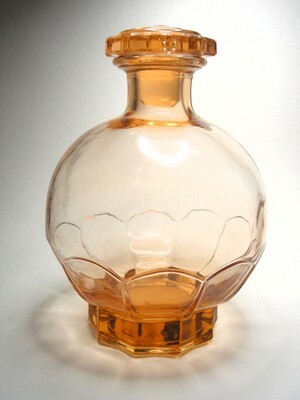 This item is in very good vintage condition, with just a couple of flea bite chips on the under side of the stopper which are not seen when the stopper is in the bottle. This piece would make the perfect dressing table accessory for your boudoir when filled with some of your favourite perfume.